I got lucky and hunted down a matching power connector for the 20-pin Saturn drive. From now on all Rheas will be solder-less (unless you want to have 50/60 auto-selector, but that requires some soldering skills anyway) which should make it easier to install for less tech-savvy people. The PCB layout has changed a bit as well, the support peg holes have moved to allow 2 of them for both VA0 and later VA1+ machines. I might move them yet again in future as I feel current placing is actually less stable on VA0 but there are limits as to where I can put them without rerouting a lot of important stuff. In any case it’s nothing a glue gun couldn’t fix. 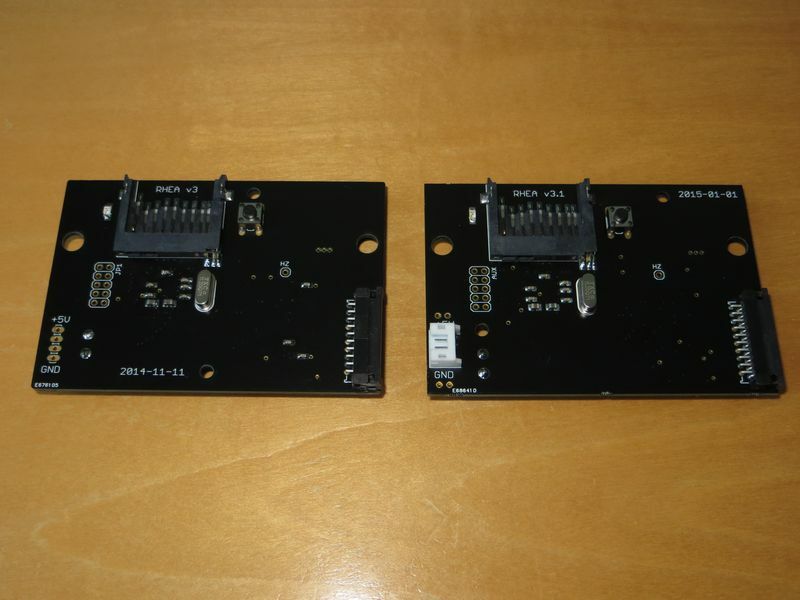 I have but a couple of these new PCBs right now, some more should be available soon. EDIT: Oh, and I figure I should address the GDEMU situation. In short, everything is still massively delayed, sorry. It doesn’t help that people have stopped paying attention to their mail/PayPal and keep missing the payment deadlines, and I have to keep a bunch of GDEMUs in a box for a week before I can consider the request “timed out”. Yes, I know this is the result of the initial delay in the first place but stuff like this is what keeps the situation from improving.